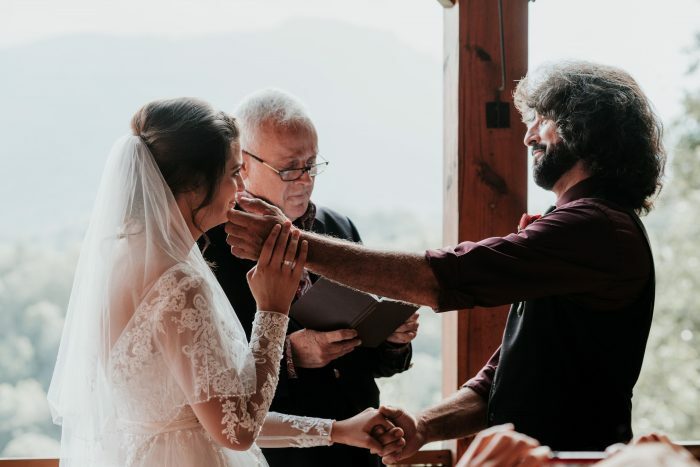 The most emotional part of our day was walking down the aisle and seeing his face, and realizing that my forever starts right now…that this is real. it felt magical, and I felt so blessed. he is my best friend, and I just felt so overwhelmed with emotion seeing his face. my sisters and I prepared a special surprise dance, and that was one of my favorite things. we also loved dancing with my brother and our extended family after dinner; that was fun, and memorable, and felt like everyone we always dreamed our celebration should be. my aunt helped with “something borrowed, something blue, something old and something new” even though I forgot to wear them in all the excitement! we included a photo of my mom, who passed away five years ago, to honor her memory. we wrote our own vows and my husband played jembe at our reception. 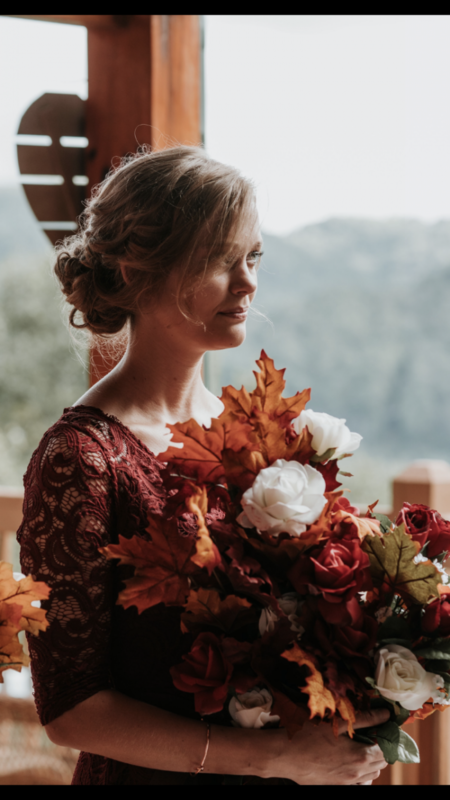 everything about our day was personalized, from the flowers which my husband arranged himself to the cake my dear college friend designed for us, to my sister doing my hair to my aunt taking pictures during the reception. 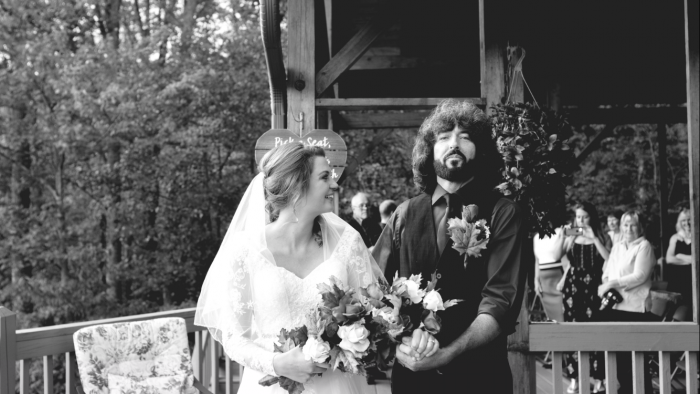 we wrote every bit of the vows ourselves–nothing was traditional for us. mike’s ring was custom made with “I choose you” engraved on the inside of the band. everything was intimate and sweet and exactly as we hoped it would be. we went to Tuscany, Italy, for our honeymoon! it was a dream come true. we stayed in a beautiful home deep in the hills of Tuscany, called “uliveto.” we were surrounded by olive trees and within short driving distance to all the magical places we wanted to see. we explored together everyday and enjoyed every moment. we chose to #enjoythejourney by doing everything ourselves, with the help of family and close friends. our family did all of the cooking for our reception. my husband did all of the flowers. my sister did my hair. my grandparents gifted us part of our honeymoon. 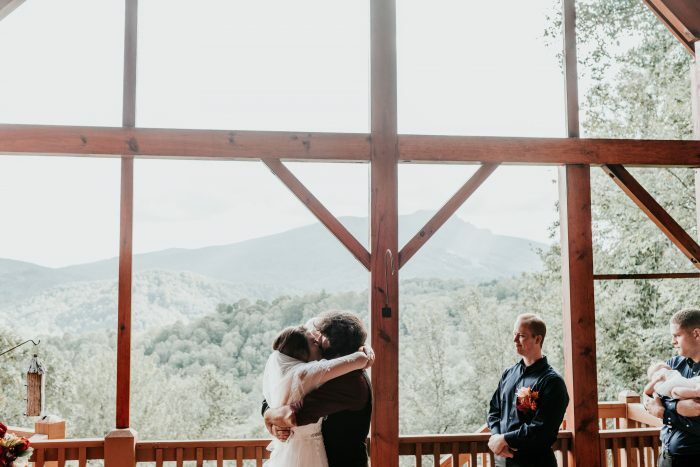 we used airbnb to find our wedding venue, a gorgeous cabin in banner elk overlooking grandfather mountain and the valley below. planning together was stressful at times but it helped us #enjoythejourney in so many ways we wouldn’t have if we had hired a wedding planner. our favors were diy (magnets from shutterfly and local goods in cute gift bags). everyone had a lovely time, especially us. walking toward the dance floor for our first dance. we danced to “I swear” by all-4-one. 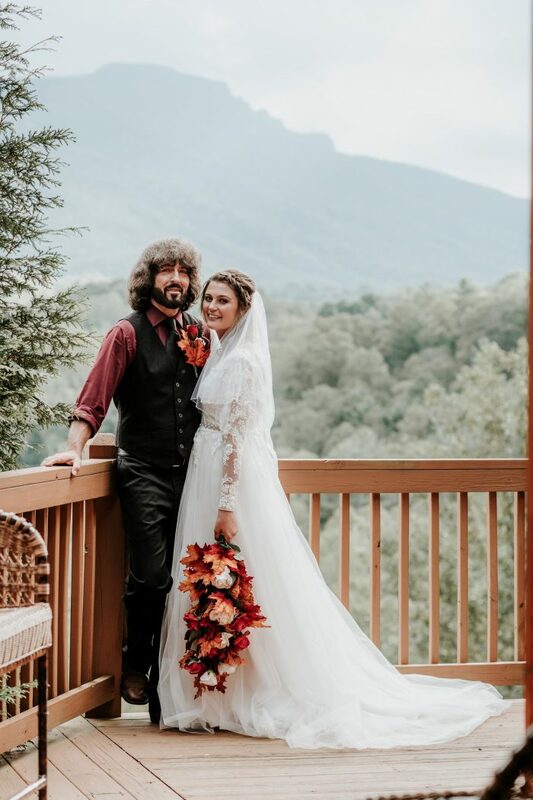 my dress was from david’s bridal. it was perfect. his ring: custom made from etsy. 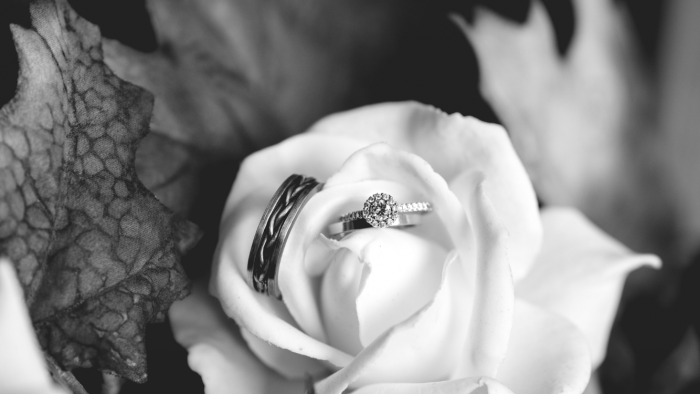 my ring: from Michael’s jewelry in Wilkesboro, nc. my sister and maid of honor holding my bouquet. 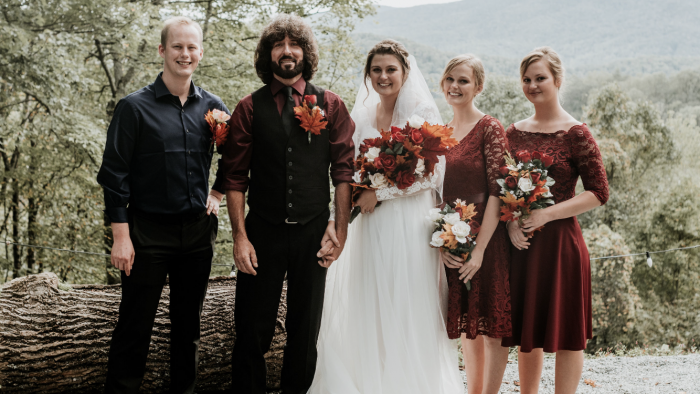 the flowers we used were faux flowers from hobby lobby, arranged into bouquets by my talented husband. 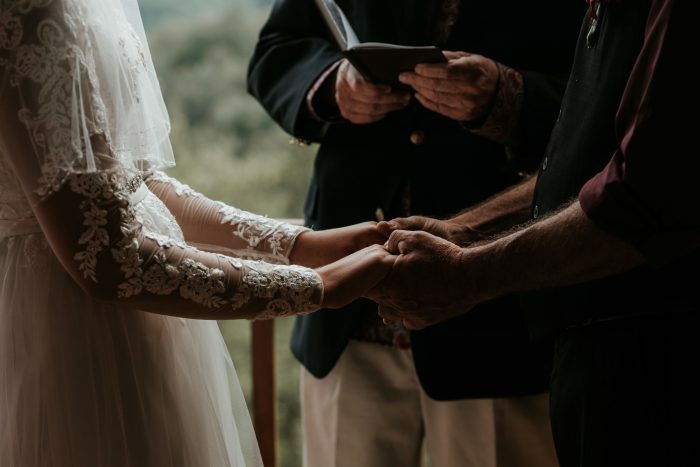 his hands in mine during our ceremony. 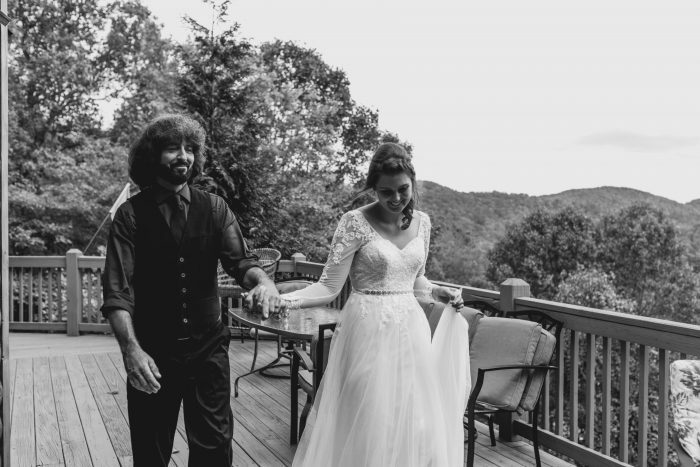 leaving our ceremony as mr. and mrs. my favorite wedding photo because of the pride in his face.